March 19, 2019 by Beeraj Patel, Esq. An H1B Visa under the Immigration and Nationality Act allows for non-immigrant workers to be employed in a specialty occupation in the United States. The H1B Visa program was introduced to allow international professional and international students the opportunity to live and work in the US. The H1B visa is highly sought after, and only so many petitions are accepted every year, which can make obtaining one difficult. Regardless of some of the obstacles in obtaining an H1B visa, the wealth of opportunities in the U.S motivates many foreign nationals to still seek opportunities for employment. 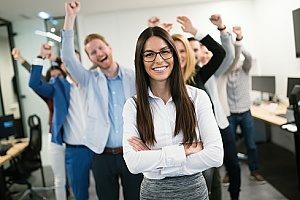 Why Might I Receive an H1B RFE? There are many reasons why you might receive an RFE. For instance, the USCIS uses a tool called the Validation Instrument for Business Enterprise (VIBE) to confirm information about petitioning employers using available information. If there is a discrepancy between the information you provided and the information VIBE finds, you might receive an RFE. 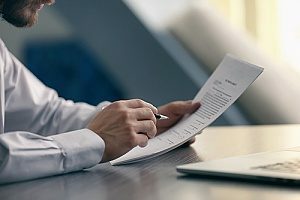 This could be for situations like a recent address change, requesting a lease agreement, recent financial statements or wage reports, or the petitioning employer’s Tax ID number. You must deliver all this information completely and thoroughly to allow USCIS to properly process your application. Don’t risk accidentally leaving something out, acquire the help of an immigration attorney. An RFE is a USCIS Request for Evidence review. An RFE will not bar a visa applicant from obtaining a visa, however, it just means that USCIS requires additional evidence to be able to make a decision about your H1B case. You will receive your RFE in the mail or can review your status online for an outstanding RFE. An RFE can contain information for either you as the beneficiary, your employer, petitioner, or both. Once the RFE has been received, you will have 90 days to submit the necessary documents. It is very important to respond to your RFE completely and thoroughly. Failing to do so could lead to a further delay in your case, or even lead to the denial of your petition. The H1B RFE response time can vary widely from case to case and may depend on the number of RFE’s for H1B visas that are currently being processed by the USCIS at the time. 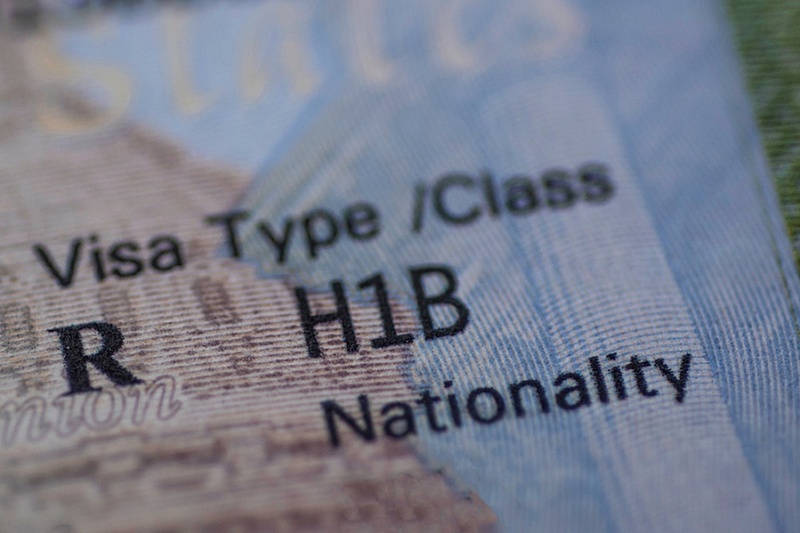 While the H1B is the most common employment visa that receives high numbers of applications, a high amount of RFE’s are issued, which has lead to significant backlogs. In 2018, the average H1B RFE response time was 93 days. Most reports suggest that for a regular application it can take between 3-6 months to hear back from USCIS. There have been cases where applicants have not received confirmation of their RFE processing completion from the USCIS for up to a year. The only way to expedite this process is to upgrade your application to premium processing. If you file your visa petition with premium processing, your case will be worked on by the USCIS within 15 calendar days. This 15-day time frame also applies to the H1B RFE response time as well, beginning on the day they receive your response. An exception to this processing timeline is if your case has been sent for a security check to ensure that either you or your potential employer have a security clearance if you are applying for a visa that will require you to have one. Regardless of premium processing, there is no time limit for this step of your case. If you did not elect for premium processing when you first filed your visa application, you can choose to upgrade at any point while your application is in pending status. Once the request to upgrade has been received by USCIS, your case will be responded to within 15 days. The H1B premium processing fee is $1,410. Premium Processing in no way increases your chances of getting approved, it simply means you will hear back on your status sooner. Currently, Nebraska, California, and Vermont are reporting a response to RFE within 60 days of your RFE response submission. The 60-day clock starts on the day that USCIS receives your RFE response. However, this is only on average. It is very possible that your case may take more than 90 days to receive a response without premium processing. Many people are concerned about their current application status because receiving a response is taking much longer than it has in previous years. There is no reason to worry, the delay is because the Trump administration has issued new rules (particularly the Third Party worksite rule changes for H1B). As a result, the USCIS has taken a much slower time to review and issue RFEs so far in 2019. They have had to make adjustments for premium processing to help clear out some of the backlog in January, however, premium processing has been restored in February. If USCIS has suspended premium processing, then the premium processing timeline is not followed. What to Do If You Receive An RFE? If you receive an RFE on your visa application, the first thing you should do is reach out to an immigration attorney. With the help of an immigration attorney who has the expertise and experience in handling many H1B RFE petitions, you can be assured that your case will be handled properly without any unexpected impediments that may accidentally lessen your chances of getting approved. Contact an immigration attorney in Northern Virginia for more information about H1B RFEs and for how you can benefit from their assistance.